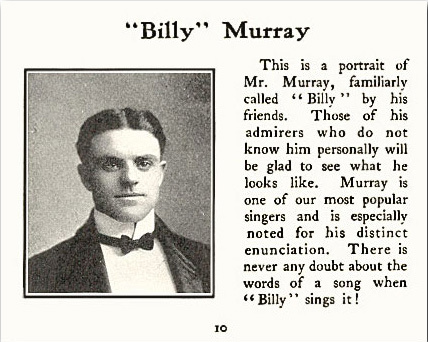 Dubbed “the Denver Nightingale,” Billy Murray was America’s foremost “recording artist”—the first singer ever to make a living and become a star solely from recording. 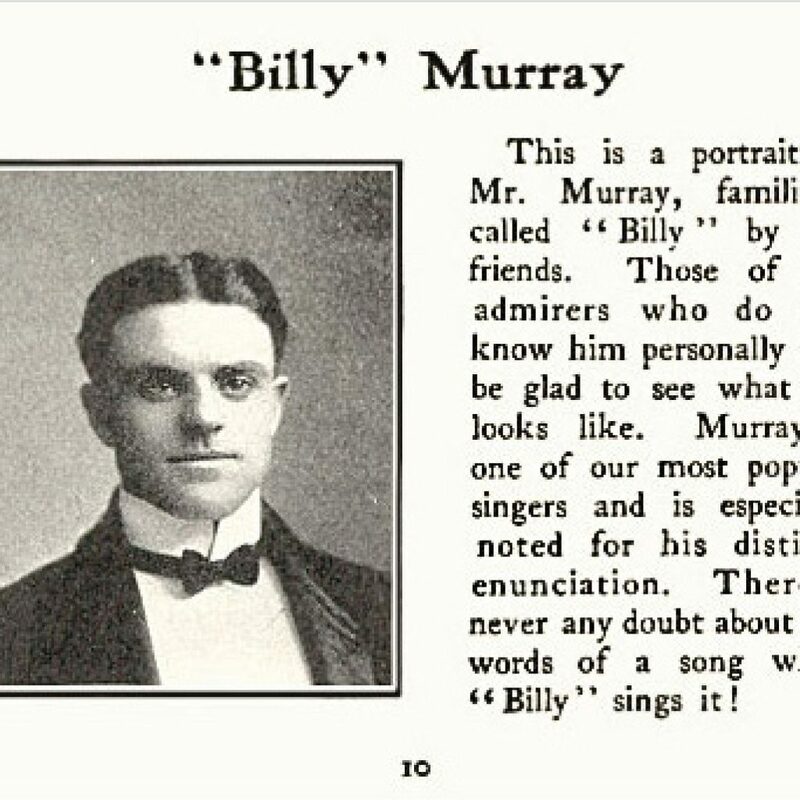 Born May 25, 1877 in Philadelphia, Murray and his family moved five years later to Denver, where he spent most of his early years expressing an interest in show business. His parents allowed him to join Harry Leavitt’s High Rollers troupe as an actor at age 16. He spent the next decade honing his skills in a succession of minstrel shows and small-time vaudeville venues. In 1903, he secured an engagement with Thomas Edison’s National Phonograph Company, and his initial recordings, released and marketed nationwide, became immediate hits. His ability to sing loudly, in full voice, was suited to the acoustic era of sound process, and labels had him record a wide range of styles. He introduced the public to scores of familiar tunes, including material from Broadway musicals, sentimental ballads, comic fare, vaudeville sketches, “ethnic” and topical pieces. He served as guest lead vocalist for the Haydn Quartet, known for its spirited interpretations of ragtime and novelty, and became leader of the American Quartet. He ranks as the top-selling recording artist between 1900 and 1920; when the industry converted to electronic recording during the 1920s, he adjusted to a softer, crooning delivery and was featured as a soloist with the Paul Whiteman Orchestra and other dance bands. Murray retired in 1944 and passed away on September 17, 1954 in Long Island.